Nikko-3780, chocolate brown with cross stitches, by Diamond Textiles. Chocolate brown with multi colored cross stitches. Perfect for quilting or crafting, use as a base for appliqué, wool work, or stitching. This fabric would blend wonderfully with Jo Morton/Betsy Chutchian salmon pinks and chocolate browns. 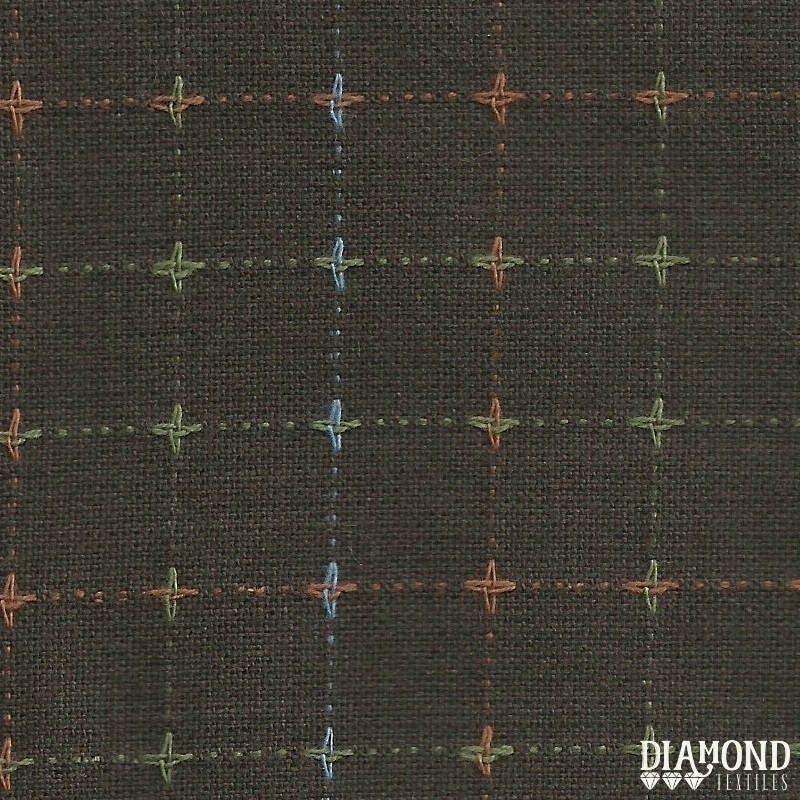 This fabric is a little heavier, so it would be perfect for a duvet, decorative pillows, or even to upholster a small foot stool or bench. Wonderful fabric and shipping was very quick. Thank you!